An entrepreneurial mindset is an increasingly vital skill for marketers looking to keep up with the connectivity and communication demands of their target customers. 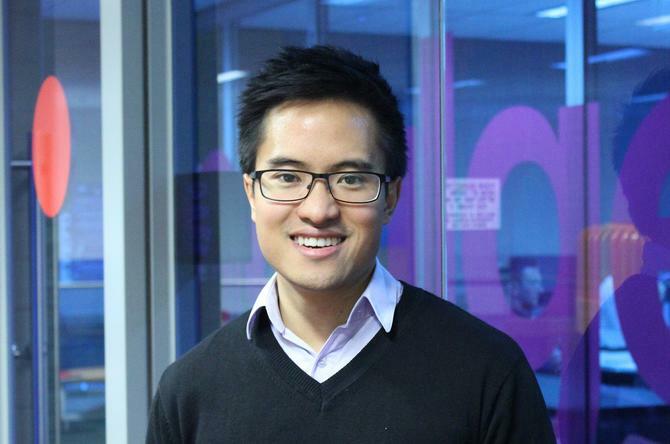 That’s the view of Australian brand manager for BelVita biscuits at Mondelez International, Tony Nguyen (pictured), who is one of five local brand managers participating in the snacking company’s new Mobile Futures program to drive mobile marketing innovation and entrepreneurialism across the organisation. The program, which was launched in Australia in May following its success in the US and Brazil, will see five leading Mondelez brands – Cadbury’s Dairy Milk, Marvellous Creations and Favourites, Philadelphia cream cheese and BelVita – partner with technology startups to grow new mobile applications and offerings that the brands can also use for marketing purposes. As well as bringing much-needed investment and innovation into mobile marketing programs, Mondelez hopes to inject more entrepreneurial and innovative thinking into its marketing teams. The Australian Mondelez business is currently in the final presentation stage before selecting the five startups it will work with. The company said in excess of 40 applications had been received and shortlisted to 25 by brand managers, which then presented to a judging panel. The winners will be announced in coming weeks. Once the five startups are confirmed, Mondelez’s five brands will work simultaneously on developing mobile marketing opportunities and brand leaders will spend a week immersed in the startup’s operations. The program timeline from start to finish is 90 days. For Nguyen, taking the plunge into new mobile marketing initiatives will help the BelVita brand, which launched in Australia two-and-a-half years ago, to better address is target consumer base. Like many consumers, these individuals are increasingly digitally savvy and shifting from accessing online content on desktops to mobile devices. It’s also about being able to bring a more entrepreneurial approach to marketing – a must in any modern customer engagement strategy, he said. Nguyen claimed FMCG companies have traditionally operated in a certain way, built up through years of doing things in the same way. “Doing what I do every day, I also feel I get disconnected from the forefront of technology, so it’s exciting to have the opportunity to see technology from a mobile startup’s perspective and start looking at the different ways of approaching mobile,” he added. Up until now, BelVita’s local marketing team has engaged in minimal mobile marketing activities, with any efforts focused on extending existing creative and digital assets to suit mobile platforms, rather than innovation. While he couldn’t confirm a percentage figure for how much of the brand’s total marketing budget will be allocated to mobile as a result of the Mobile Futures program, Nguyen said the focus is on attaining a mobile-first approach to the way it engages with consumers by trialling and learning. Globally, Mondelez has stated that it anticipates spending 10 per cent of its total media budget on mobile. “What we have been doing until now is what we know and are comfortable with, and working with tried-and-tested channels such as TV,” Nguyen said. “This is about innovating in mobile. Nguyen noted a number of the startups had presented ideas utilising iBeacon technology, and many were looking to connect mobile with retail and shopper insights, opening up new ways of interacting with and understanding consumers. In terms of metrics, BelVita and the wider Mondelez business will be looking to softer and more qualitative measurements, such as culture change and driving innovation, to gauge the success of the Mobile Futures program. “Ultimately, what’s important for me and what’s motivating about Mondelez’s Mobile Futures program is the step change to culture and the way we do things,” Nguyen said. “It’s bringing that entrepreneurial spirit into marketing."